Today contract negotiations begin with the national unions who represent about 15,200 employees at GE whose current contract expires on June 19, 2011. 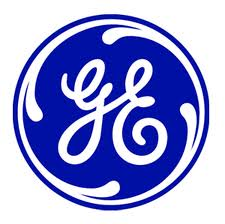 GE has good relationships with union leaders at both the local and national levels. The goal is to negotiate a competitive and fair package for the 2011 contract term. The agreement must be based on current and projected economic realities with provisions that will keep our businesses competitive going forward. Key topics of discussion for the negotiations include: health care, retirement plans, wages and job security. GE negotiates national contracts with the International Union of Electronic Workers/Communications Workers of America (IUE-CWA) and United Electrical, Radio, and Machine Workers of America (UE). Contracts with other unions are negotiated at the local plant level. Over the coming weeks, GE and union leaders will meet to discuss the issues and exchange proposals. This entry was posted in Appliance Repair Parts and tagged Appliance Parts Company, GE, GE appliance parts, General Electric, parts pass. Bookmark the permalink.